Who wants a ride to soccer practice? The second generation Porsche Panamera lineup continues to grow. 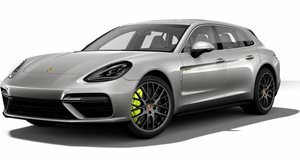 Meet the Panamera Turbo S E-Hybrid Sport Turismo, the super wagon you want to own. Like its sedan counterpart, power comes from a combined fusion of technologies: a twin-turbo 4.0-liter V8 and an electric motor for a total of 680 hp and 626 lb-ft of torque. The V8 alone produces 550 hp, while the E-Hybrid boost strategy and its 136 hp is derived from none other than the 918 Spyder. A liquid-cooled lithium-ion battery with 14.1 kWh makes that possible. As a result of all of that power, a 0-60 mph time is attained in just 3.2 seconds and achieves a top speed of 192 mph. All of that power is managed by an eight-speed PDK dual-clutch. Because it’s a hybrid, owners can give the atmosphere a breather by taking advantage of this uber-sport wagon’s all-electric mode, which, like its sedan counterpart, likely allows a 31-mile electric-only range (Porsche hasn’t released an exact figure yet for the wagon). 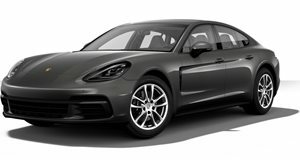 Essentially, the Panamera Turbo S E-Hybrid Sport Turismo is identical to its sedan counterpart, save for the wagon body style. The interior, obviously, is 100 percent identical, featuring the digitized Porsche Advanced Cockpit. Aerodynamics obviously played a key role in the exterior design. At track speeds, the roof spoiler automatically moves to the performance position with an angle of plus one degree. Drivers will also benefit from various driving modes, such as Sport and Sport Plus. But why would someone opt for the Sport Turismo body style over the sedan? Simple, it’s an uber-wagon, and it looks stunning. US pricing will begin at $189,450, including destination. However, that figure will increase once you start tacking on options like carbon ceramic brakes, Power Steering Plus, Porsche Dynamic Chassis Control Sport and, of course, the Sport Chrono package. You can already place an order with deliveries set to begin in spring 2018.